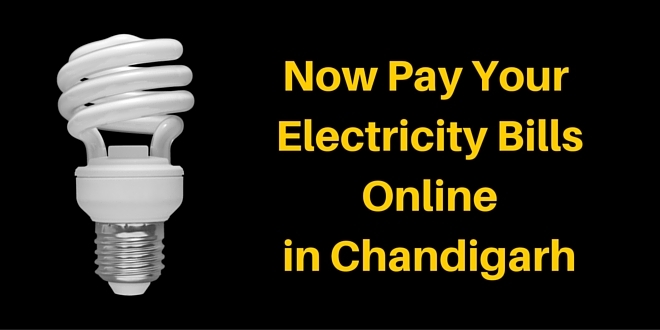 Adding yet another feather to its cap, the Chandigarh Administration now allows city residents to pay their electricity and water bills online through the internet. 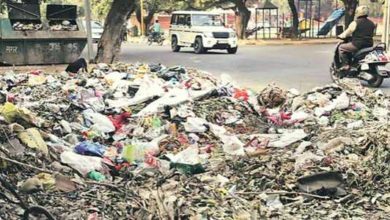 Chandigarh has been a model city of India and the facility to pay electricity bills online has brought Chandigarh a step closer to becoming a smart city. Let’s elaborate on how you can successfully pay your bills through the government portal of Chandigarh Administration without the need to go to a Sampark centre. 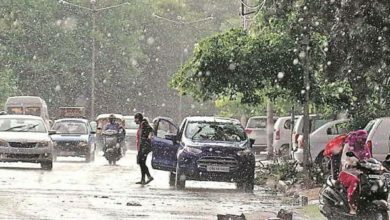 The online electricity and water bill payment facility for Chandigarh residents has been provided by the Chandigarh Administration through e-sampark. A special portal has been set up for online transactions and users will be able to print the receipt of the bill once it is paid. The process is completely safe as the portal is hosted on nic.in – Indian government’s server. 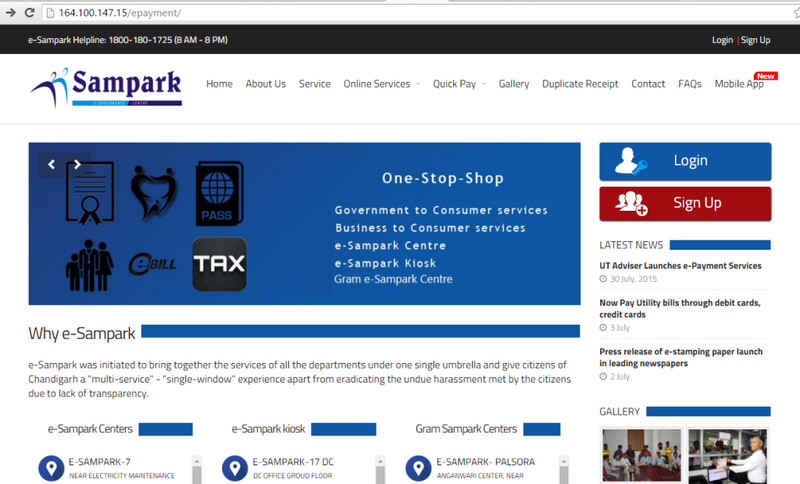 Visit http://sampark.chd.nic.in/ The site will automatically redirect to http://164.100.147.15/epayment/ which is the epayment portal of Sampark centre, Chandigarh. Alternatively, you can also go to http://chandigarh.gov.in and click on e-payment in the side bar. 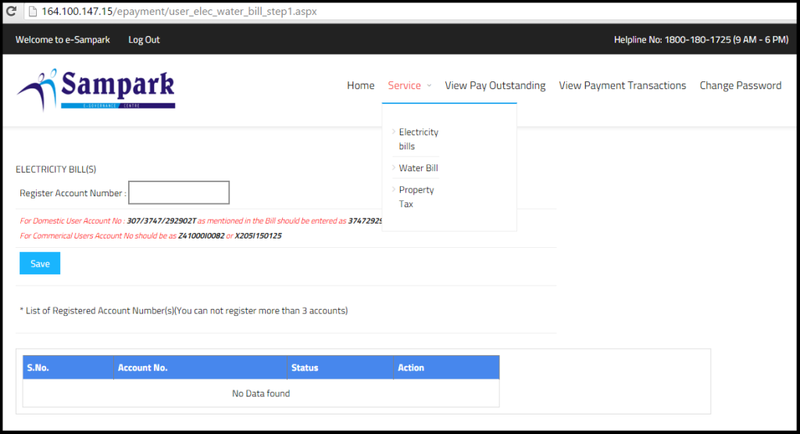 The Sampark portal of Chandigarh Administration to pay your electricity and water bills online. 2. Click on Sign Up and create an account by filling the required fields. You’ll have to choose a username and password. Then you’ll have to enter your name, mobile number and email ID. Your address and pin number are also mandatory. 3. Once a new account is created, you’ll be redirected to the home page. Now click on “Login” and enter your username and password. 4. Once logged in, you’ll be able to see your profile with name, address, phone number etc. 5. Click on “Service” on the top menu and select out of “Electricity Bill”, “Water Bill” or “Property Tax”. 6. Once you click on electricity bill, you’ll have to enter your account number. This account number can be found on your electricity bill. This is a one time process to activate online payments for your electricity bill in Chandigarh. From next time, your account will automatically show you the bill number that you have to pay online. 7. By clicking on “View Pay Outstanding” link on the top menu, you’ll be able to see your outstanding bills and there will be a link to pay them. Yes, there are some additional charges to pay your electricity or water bills online at Chandigarh Government’s Sampark portal. Here’ a detail about the charges depending on the method you choose. If you choose to pay through internet banking, you’ll have to pay Rs. 10 per transaction. In case you pay with your debit card, you’ll have to pay 0.75% of the bill amount if your bill is below Rs. 2000. If your electricity bill is above Rs. 2000, then you’ll have to pay 1% of the total bill amount as additional charges for paying your electricity bill online. If you want to pay through your credit card, then the additional charges to pay your bill online will be 1% of the total bill amount + 14% service tax. 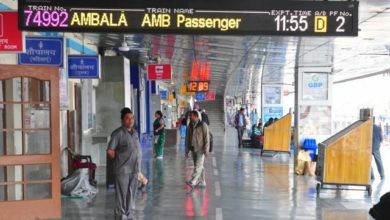 The facility to pay your electricity bills online in Chandigarh surely saves you time, fuel and gives you the convience to make a transaction from your home or office. 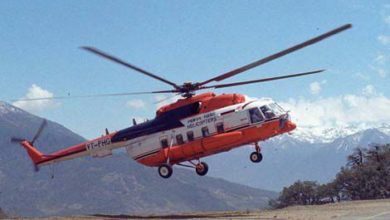 The additional charges can be considered as negligible when it come to saving time and fuel.